Microsoft won’t be officially releasing Windows 8.1 Update 1 until after their conference in April, but late on Thursday the company accidentally leaked the update to the public. Posted on USENET newsgroups, eager users were able to make a small registry change that made the updates show up in Windows Update, or download it all through direct links to Microsoft’s servers. Most of the changes found in the Windows 8.1 Update 1 are said to be focussed on keyboard and mouse users, as we see a desktop taskbar placed above the Metro UI-style apps, and options that enable the user to minimise, close or snap Metro UI-style apps. The Redmond-based firm is also said to add a ‘shut down’ button on the Start screen for non-touch user machines. A new search button is also seen on the top-right corner. The Windows Update method is tricky, as it involves tweaking a setting in the Registry. And while some newsgroups members report success using it, others say that Microsoft appears to have already blocked it, such that not all of the required updates appear in Windows Update any longer. Separate packages are available for 32-bit x86, x86-64, and ARM versions of Windows – yes, even the unloved Windows RT gets to share the Update 1 wealth – so make sure you only download the ones for the architecture you need, and don’t try to mix and match. The date on the update file corresponds with recent reports that Microsoft had finalized this release. It’s possible that there will be additional minor changes between now and April 8, when the update is scheduled for general release. ThunderNews is now able to provide even further retention benefits to its customers with 2,000 days of binary retention on more than 140,000 active newsgroups. With over five and a half years of retention, it serves as a new mildstone for ThunderNews and the USENET industry. This allows users to research and access information on all discussion and binary newsgroups from more than 5 years ago. Now users can dig up info from when “How I Met Your Mother” started, the death and legacy of Michael Jackson and even the first stories and discussions about the Maersk Alabama hijacking that resulted in the movie “Captain Phillips”. The increase of retention has been achieved by our never ending pursuit in delivering the very best features and capabilities we can offer our USENET members. We hope you enjoy the service as we continue our improvements. The increase is automatically accessible to all ThunderNews members. Stay tuned for other retention and service upgrades in the near future! Google’s Chrome OS continues to show up on more and more devices, and while the majority of them are laptops, it looks like desktop users are going to have quite a few options as well. Joining LG’s upcoming Chromebase all-in-one is the Asus Chromebox, a headless mini-PC that goes on sale in March for $179. At 4.88″ by 4.88″ by 1.65″, it’s similar to but slightly larger than Intel’s more versatile NUC desktop in every dimension. 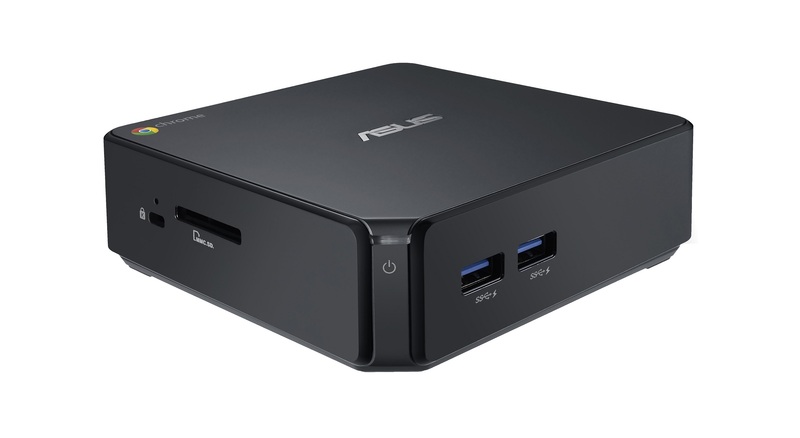 The Asus Chromebox is incredibly small, measuring 4.9×4.9×1.65 inches. The Intel NUC is marginally smaller, but they’re both incredibly small computers. Other than its incredibly low price, the main advantage of the Asus Chromebox is that it’s fanless — so, plug in an external hard drive, or connect it up to your NAS, and you have a fairly plucky home theater PC. It’s also a pretty solid choice if you’re looking for a small, inoffensive piece of technology to get a friend or family member onto the internet. The lack of internal storage is always going to be a bit of an issue with Chromebooks and boxes, but Google’s free-100GB-of-cloud-storage-for-two-years does ameliorate some of the pain. A benefit that USENET members may enjoys is that the ASUS Chromebox will attach to the back-end of a VESA-based monitor, making it look like the popular all-in-one Windows 8.1 machines at the big box stores. It will also hook up to more than one display, making it a nice tool for plugging into the family TV and a computer at the same time. Watch movies on Google Play Movies or Netflix and then switch over to a computer to access the thousands of newsgroups that ThunderNews offers its members. The box itself is a little bigger than Intel’s Haswell NUC, but we’re still talking about an extremely small form factor computer. You can expect availability sometime in March. Google will throw in 100GB of space on Google Drive for 2 years to make up for the limited internal storage.